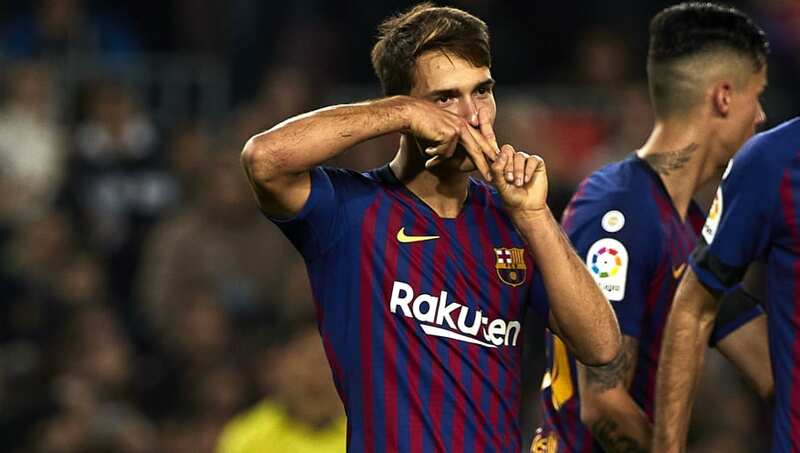 ​Barcelona will allow Denis Suarez to leave the club in January, with a whole host of Premier League outfits reportedly lining up to sign the 24-year-old. It had appeared that the midfielder was set to stay in Catalonia, following the injury to Rafinha, but boss Ernesto Valverde does not see Suarez as having a future at the club and has told the player he is allowed to seek a move abroad. Mundo Deportivo reports, via the ​Daily Star, that the news has put ​Premier League sides on red alert, with a flurry of offers from a number of clubs leaving Suarez with decisions to make the January window. The likes of ​Arsenal, who recently lost Henrikh Mkhitaryan to a broken metatarsal, have been touted as a potential way-out for the midfielder, with Barcelona looking to accrue somewhere north of €10m with London rivals ​Chelsea touted as interested as well. Furthermore, a separate report from ​Sport claims that there are other Premier League sides, who are looking to secure the Spaniard's signature. ​West Ham, who are in need of reinforcements due to their growing injury list, are named, while ​Watford are also reportedly keen. Marco Silva's ​Everton too are said to be eager to sign the former Manchester City youngster, presenting the player with plenty to think about. While able to operate anywhere across the midfield, Suarez's performances for Villarreal tempted ​Barcelona to activate the player's buy-back clause and bring the player back to Camp Nou in 2016. However, he has failed to nail down a starting berth under Valverde, featuring only six times in all competitions this campaign and scoring twice in the Copa Del Rey.